Old fashioned peanut butter cookies are soft and chewy. 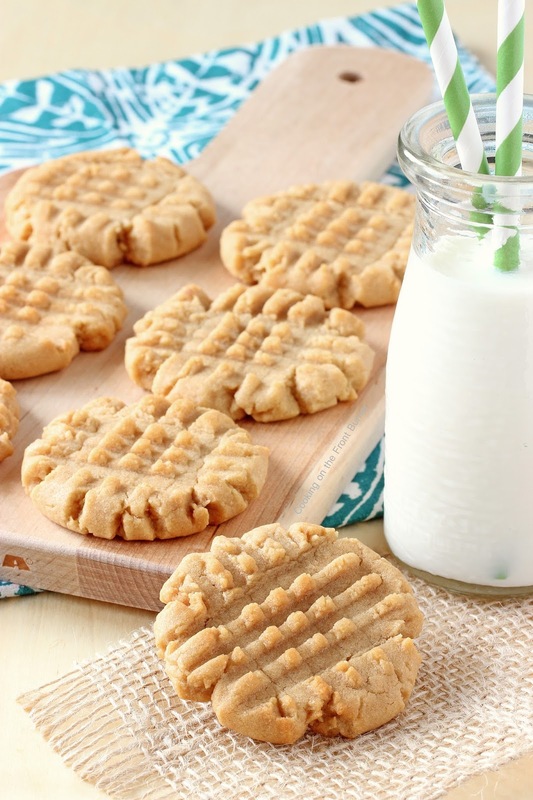 This easy peanut butter cookie recipe is what you have been looking for! Back to baking this week with these Old Fashioned Peanut Butter Cookies. I had a craving for some PB cookies and thought I would look through my mom’s handwritten cookbooks to find her recipe. I searched through the stash of notebooks I had but no luck! So now I’m not sure if her recipe came from a cookbook or one she didn’t happen to write down. 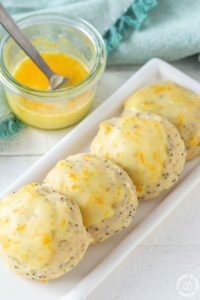 After some searching, I came across this recipe that seemed like a winner to me and it was! 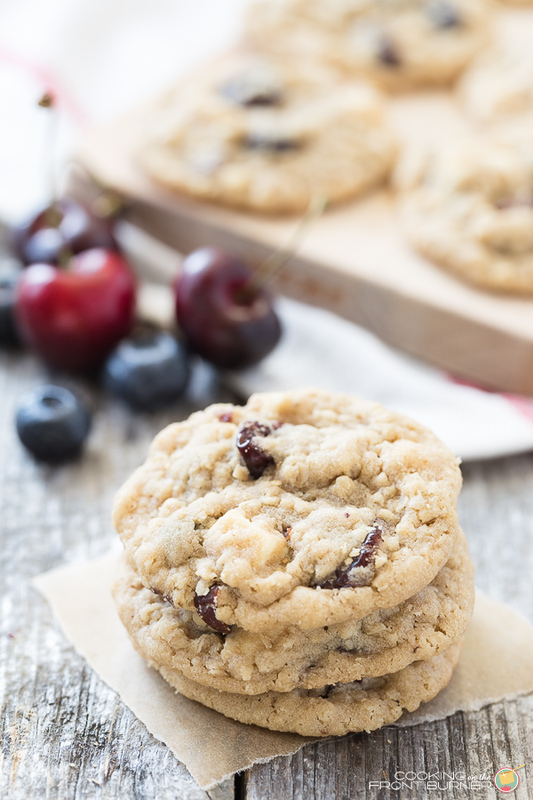 I love how soft and chewy these cookies are – I had to really resist eating a big pile, so I sent most of the cookies to work with the DIY Guy – always a good choice for my self-control! And much appreciated by his co-workers. As I mentioned, I was craving these cookies because they remind me of my mom and how she always had some sort of after school snack for us. It was an anticipated event of the day. We’d come running in the door after getting off the bus, drop our book bags, and head into the kitchen for snack time. If we got peanut butter cookies, that was the best! Just a little something to tie us over until dinner time – then if we were really lucky we got to have these again for dessert! What kind of traditions do you remember loving as a kid or what traditions do you want to start for your kids or grandkids? Go ahead – make a batch and grab an icy cold glass of milk! 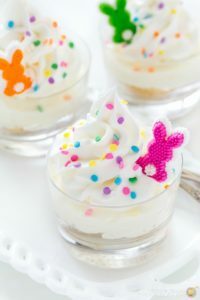 I’m sure these would be a great hit for the kiddoes for an after school snack! I know I will be making these again soon! 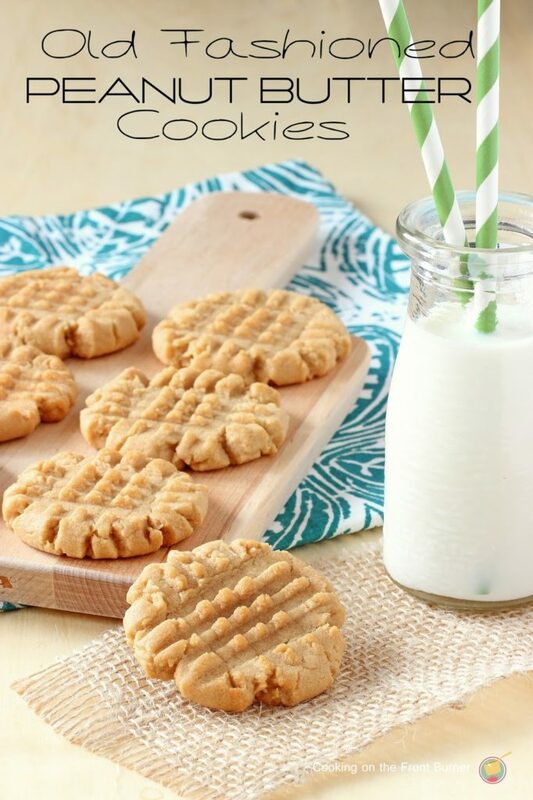 This Old Fashioned Peanut Butter Cookie recipe is what you have been looking for! 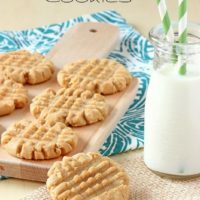 Deb, there is nothing like a good, old-fashioned delicious peanut butter cookie and these look awesome! Pinning and sharing – happy Wednesday! 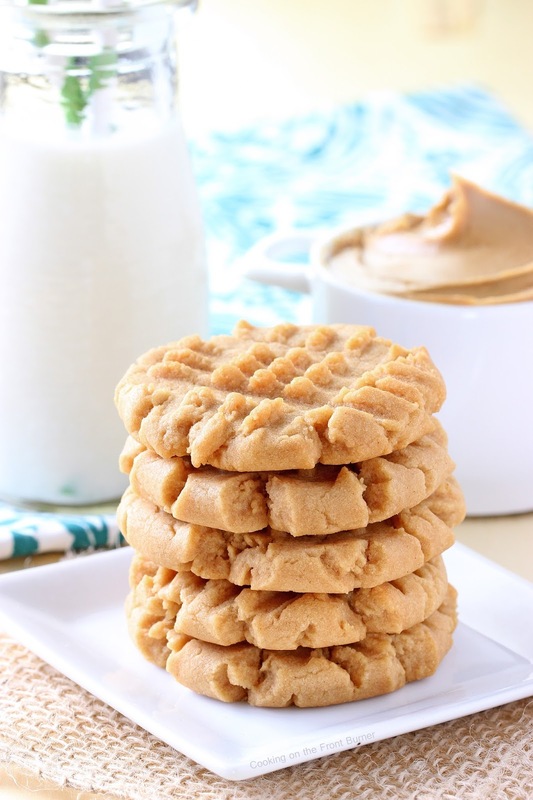 I love a classic peanut butter cookie! And I haven't made them in years. I see some in my future! Pinned and shared on FB! One of my favorite cookies! Reminds me of my childhood when my mom would make these for us! 🙂 Pinned and sharing! Deb, it seems like I am always craving PB–especially in cookie form 🙂 These look fabulous! YUM! These look just like the peanut butter cookies I grew up with and LOVED!!! My very favorite cookie and I haven't made them in some time. You've just given me inspiration both with your recipe and appetizing photos. Oh yum!!! Will have to try these! Way too salty! I would omit the salt and scale back on the baking soda a bit. I will try them again. So sorry to hear that….let me know if changing it helps. 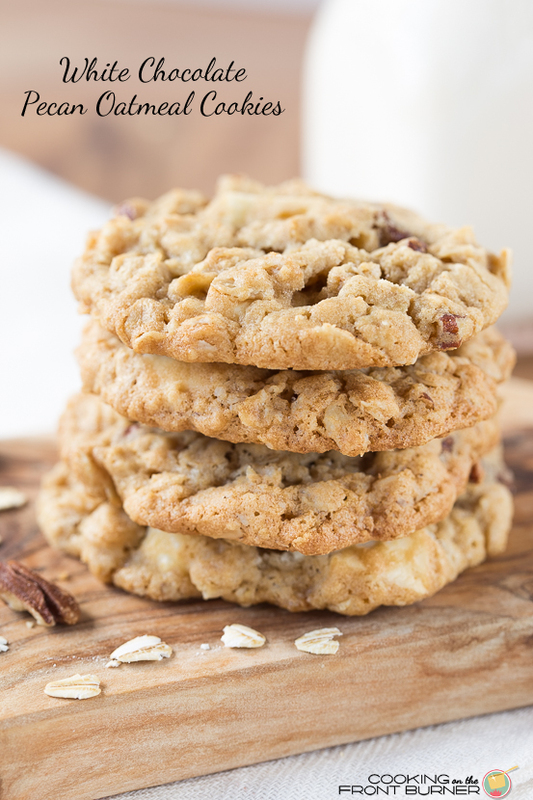 I LOVE PB cookies, but I almost never make them because we have a peanut allergy in the house and its just too much sometimes to make multiple batches of cookies and have to worry about cross contamination and all that fun stuff. Anyway, your cookies are going to make me seek some out soon! Beautiful photos! Just nothing like a classic peanut butter cookie! These look perfect! 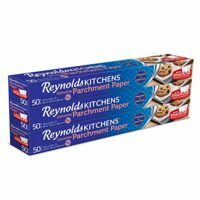 So wishing I had a stack of these and a tall glass of milk right now, Deb! These cookie look so good!! I love peanut butter cookies! You mention shortening… oleo… butter… crisco???? Each makes some cookies just a little bit different. You just can't beat the classics! I could go for these right now! Yep, you've made me wanting peanut butter cookies! My mom and I used to make them at least once a month, and with chunky peanut butter for extra bite! 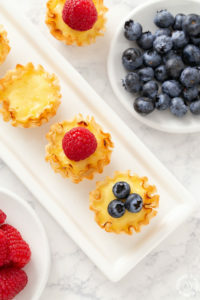 Thanks for sharing this recipe, pinning and running out to get the ingredients tomorrow.I’d love it it you’d link it up at Worthwhile Wednesdays Link Party! I love a classic peanut butter cookie. These look amazing! Perfect. I did use chunky peanut butter and Crisco. Just about the best PB cookies I have ever had. Dough was light and fluffy (and delicious). Each month I bake cookies for my husband's VFW meeting. There will be some happy Veterans tonight. Thank you. Yum! My Mother made the best Peanut Butter Cookies. Her recipe came from the recipe book that came with the mixer my Dad gave her for Christmas one year. The recipe did not call for any honey, but she knew Daddy loved honey and peanut butter so she always added a little for the flavor. 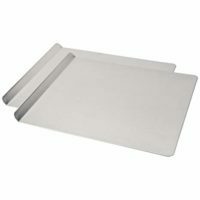 What do I need to make the cookies at little crispy. We love the classic taste but not looking for an overly soft texture. Hi, sorry but I haven't tried that…so not sure what to say. I would try using maybe a half of butter instead of crisco. Have you tried freezing these? I am trying to bake ahead for my Thanksgiving gathering and have had much success with this recipe in the past, but have never frozen them and thawed them day-of. Thanks for sharing your recipe! Making these today to send to my daughter, a few states away. She’s been missing us a little bit extra so hopefully these will cheer her up until she can come for Christmas. Thank you for sharing! I am going to keep this one on hand. Awww…. I hope she enjoys. I know it is hard having family away…. Merry Christmas! Just thought I’d let you know that it’s Christmas once again and we have enjoyed your cookie recipe for a whole year now! My Daughter is here with us and we just made these peanut butter cookies. Thank you so much for sharing your recipe with us! I love peanut butter cookies but it seems like they never hold their shape. By the time they are done you can hardly see the fork marks and they as much thinner. Any ideas on what I am doing wrong? Thank you Karen! I hope you enjoy them!! What flour plain or self rising. There, right in the midst of paleo and 3 ingredient keto peanut butter cookies (doesn’t that sound just awful? ), there you were! Thank you for sharing your beautiful cookies! Awww… so glad you found the recipe – enjoy!! If you make these without peanut butter, is it like a sugar cookie? The Peanut Butter cookie recipe says 1 tablespoon vanilla which I think is a lot. I used 1 teaspoon vanilla and the cookies turned out great! I really enjoyed these cookies. I have a friend who’s son must be dairy free. Do you think an alternative like Almond milk would be ok for the milk? I use vanilla almond milk! Higher altitude keep in oven for 12 minutes! First batch was great at 12 mins. Second batch at 9 mins was not as good. I also used sweet cream butter. Mmmmm!! I have been looking for a recipe like this for a while now, so glad I found this one. I love old fashioned peanut butter cookies, but I haven’t had them in years. 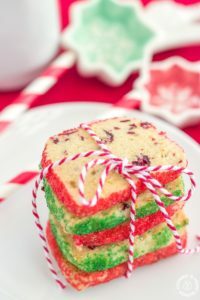 This recipe looks similar to the ones I had as a kid. Really looking forward to making these.